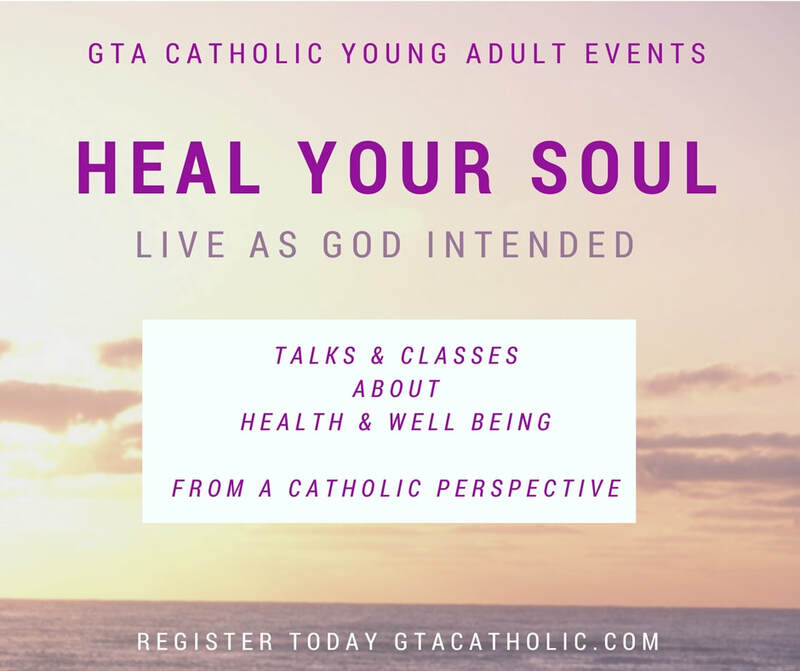 GTA Catholic Restores is a Spiritual Wellness Series designed to help catholic young adults learn more about their health and wellness from a Catholic/spiritual perspective. ​Experts from health and wellness professions and Catholic ministries have been invited to share their knowledge as professionals and Catholics. ​Discussion and support will be provided to encourage catholic young adults to live healthier, happier and spiritually enriching lifestyles. change but don't know how? Do you wonder if God cares about your life and your challenges? Ever longed for peace and freedom from anxieties and worries? Do you think it is possible for God to heal people in the 21st century? When life causes us to experience difficulties and hurts, our spirit is broken or damaged. ​physical, mental and emotional health. Our speaker for this session is Dr Kenneth Fung. He is a retired Family Physician 55+ years, Christian counsellor and psychotherapist for 38 years. He will speak about his work as a doctor and Christian therapist to help people heal their body mind and soul. His talk will focus on both the spiritual and medical perspective. 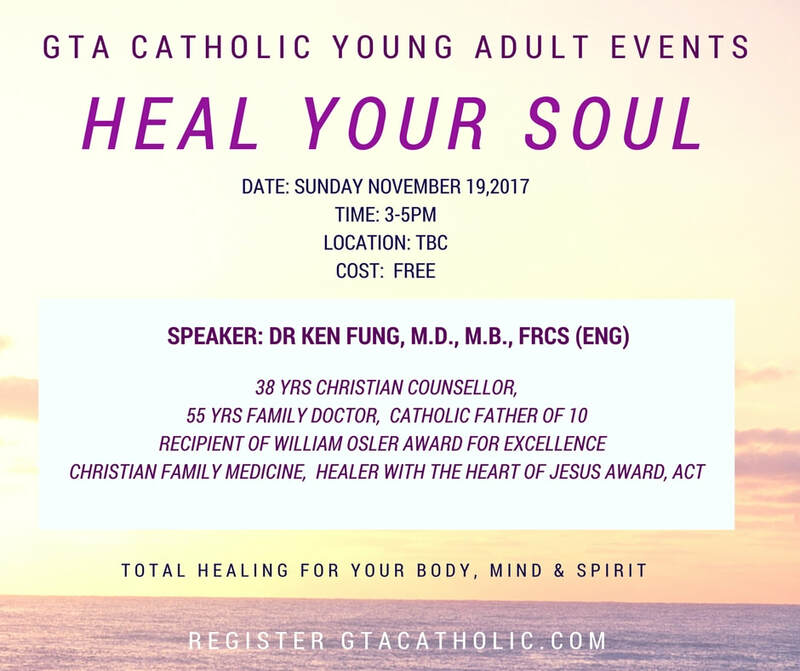 ​Through this talk Dr Fung hopes to educate catholic christians on healing not just their body and mind but also their spirit. For through God, healing can ultimately lead to freedom for the person as a whole. 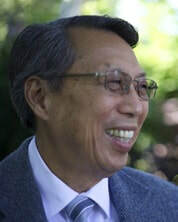 As a Family Physician 55+ years (38 years as a Christian counsellor and psychotherapist), Dr Ken Fung has been integrating the Spirituality of Christian Healing into his clinical medical practice to help his patients. Dr Fung's recognizes that every human person is a spiritual human being and demonstrates the integral role spiritual health plays in the total health and well being of the patient. Dr. Fung is an international conference speaker on the integration of Christian Spiritual healing in medicine. He is a former International President of The Association of Christian Therapists, ACTheals and Regional Coordinator of Canada. He is the recipient of the Sir William Osler Award for Excellence in the practice of Christian Family Medicine. The Healer with the Heart of Jesus award for services to ACTheals. ​father of 10, married for 55 years.